Reception are having lots of fun learning to sing a song called Big Band. 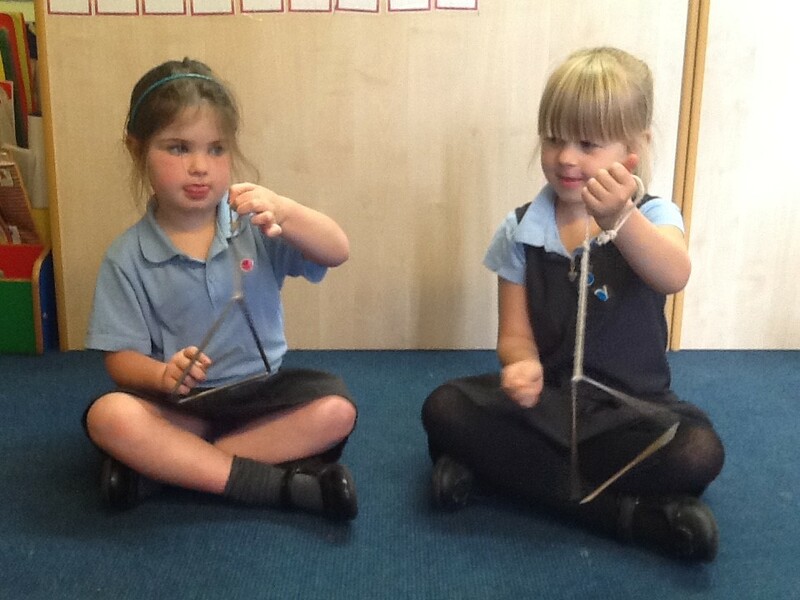 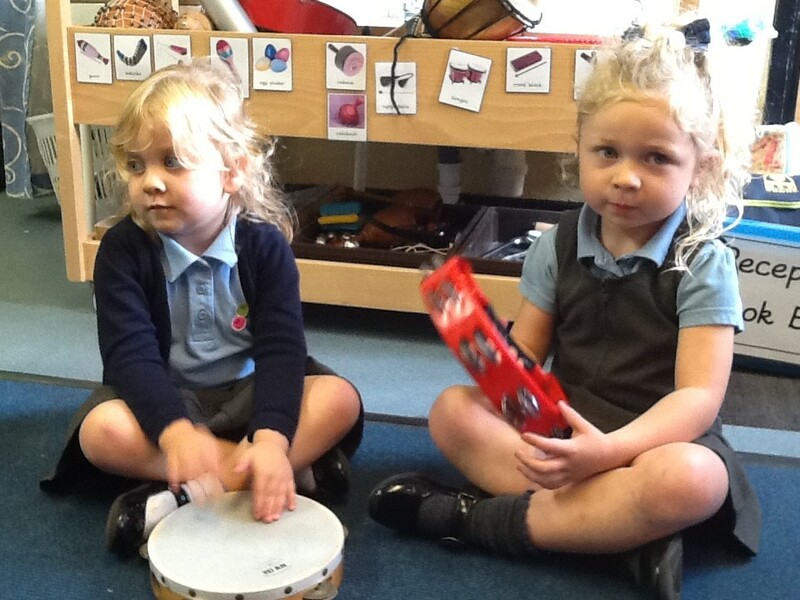 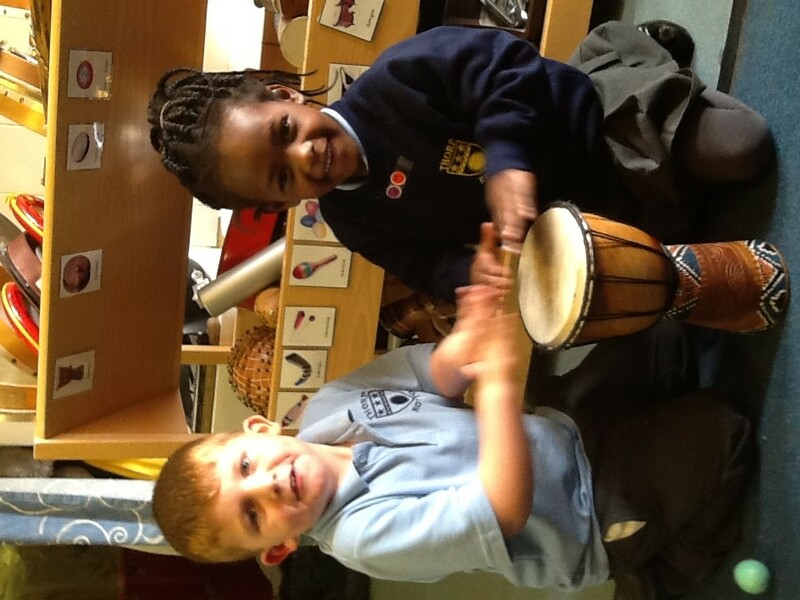 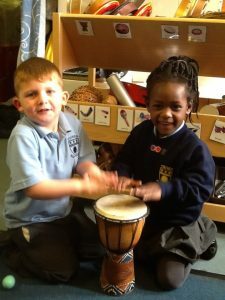 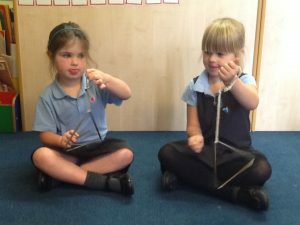 They are learning to accompany the song with tambourines, triangles, wood blocks and shakers. 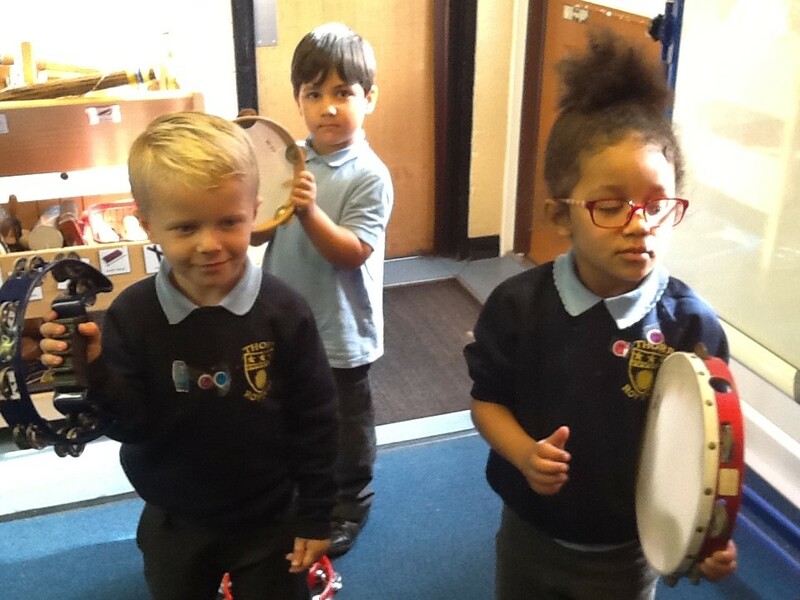 Reception are also learning a very silly song called ‘Socks on Your Ears’.